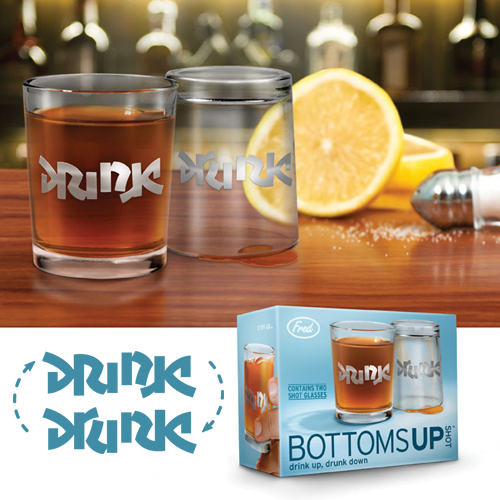 Each shot glass in this set is helpfully labeled “drink” so you know which side to fill. Knock it back, flip it over, and the type now reads “drunk”. This typographic trickery is called an “ambigram” – a calligraphic design that squeezes two different messages into the same image. Are the faces happy or sad? It all depends on how you look at them. These 10 oz juice glasses are printed with optical illusions that seem to transform when turned over. Simply flip them around to adjust their attitude and your own as well. Packaged in a double-ended display box. 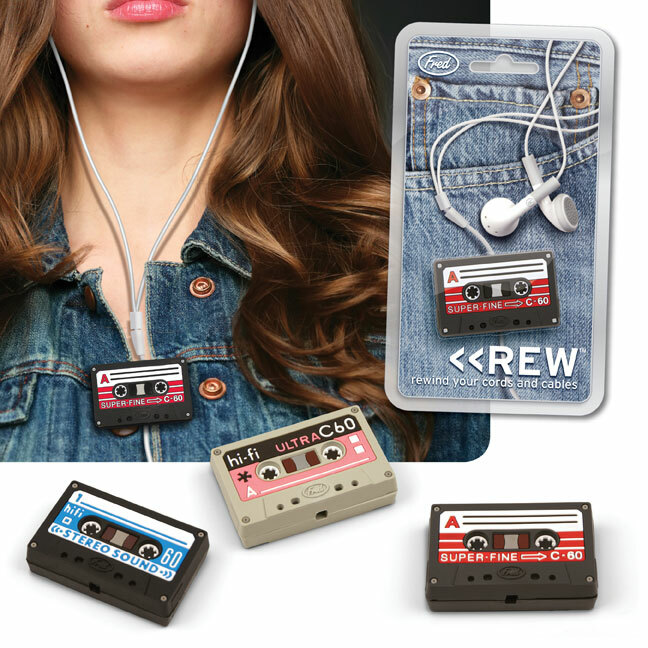 The retro way to keep your dangling headphone wires in check. Squeeze the sides to expose the inner core, wind your unwanted wire away, and get onto rockin’. 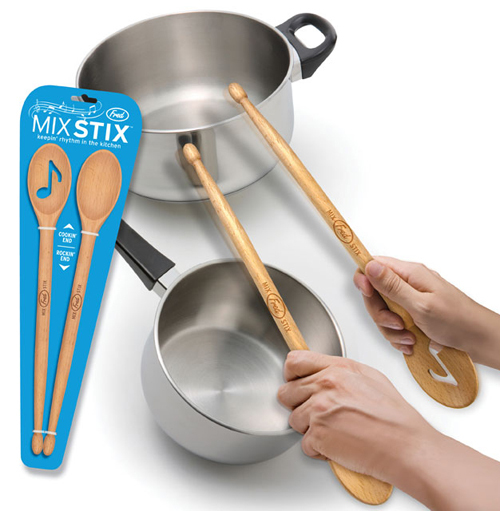 Who doesn’t remember knocking out defening drum solos on mom’s pots and pans as she cooked beside you? Mix Stix gives us “adults” an excuse to play again. It’s a classic set of wooden spoons with a twist. Give the sauce a stir, then flip ’em over and bang out your best Buddy Rich. Made from high-quality beech wood harvested from enviromentally managed forests. 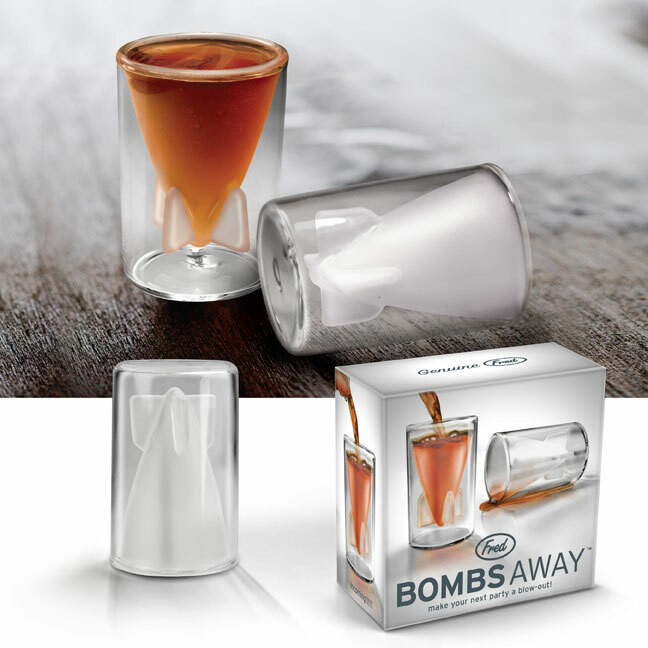 Get bombed with this set of double-walled shot glasses. 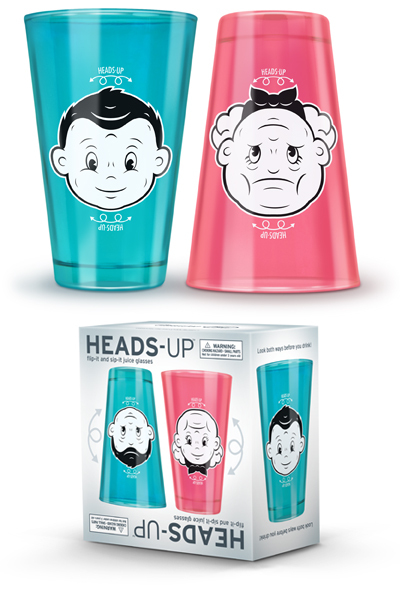 Constructed from high-quality borosilicate glass with a frosted interior finish. Here’s the perfect excuse to play with your food. Mashed potato mustaches and tunafish toupees are only the beginning. Food Face is designed for the young at heart, no matter what age you are. Constructed of hotel-quality ceramic. Feeling a little cash-poor these days? Well this will have you looking like a million bucks. Guaranteed to make ’em look twice. 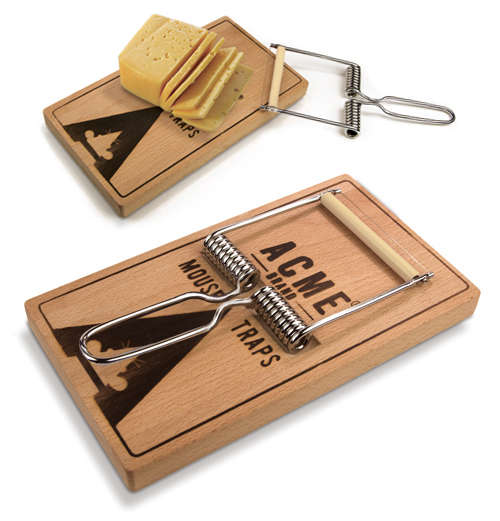 9″ x 5″ giant mouse trap cheeseboard made from beechwood. Cheese cutter in stainless steel. Inside-out salt shaker made from hand-blown borsilicate glass.